The populace protests the closure. You know how it goes when a VIP comes to town: streets unexpectedly blocked, swarms of shifty-eyed men in dark suits with little curly wires in their ears, cavalcades of unnecessarily long dark cars swanning through the streets? Annoying, right? Well, in Japan, everybody takes the subway, so you’d think these irritating VIP visits would be only marginally inconvenient, but you’d be WRONG. In preparation for the American President’s visit, the Powers That Be decided that not only trash cans, but also recycle bins(! 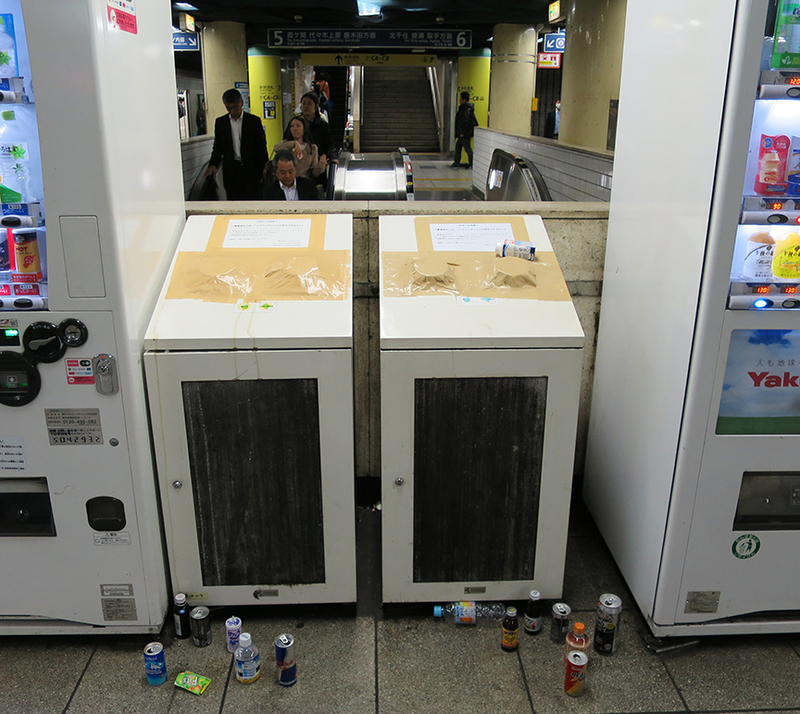 ), were Public Safety Menace #1, and for a week, all the places to toss that empty drink bottle/can you bought at a vending machine are taped shut. Meanwhile, millions of Japanese are cursing President Obama and the limo he rode in on, as they tote their empties endlessly around like The Trash Without A Country. Not yet, today is my last full day in America. I fly to Seattle tomorrow night, then to Yokosuka Thursday morning and arrive Friday morning.